The last couple of months I've been working on my own branding design, I wanted to take this blog a step further and there's a lot going on right now. But, first things first. 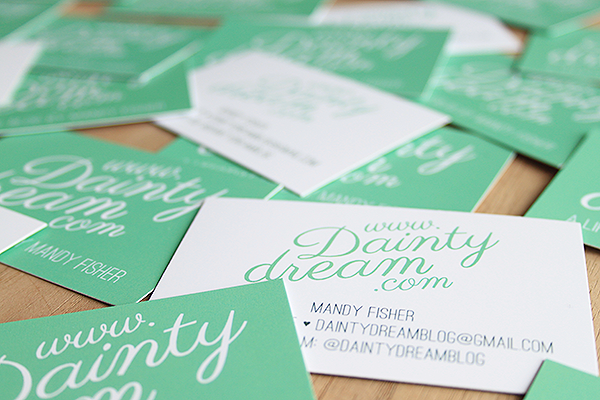 I redid my logo and I've made business cards with it. In my favorite color of course! I wanted to keep it dainty and simple. 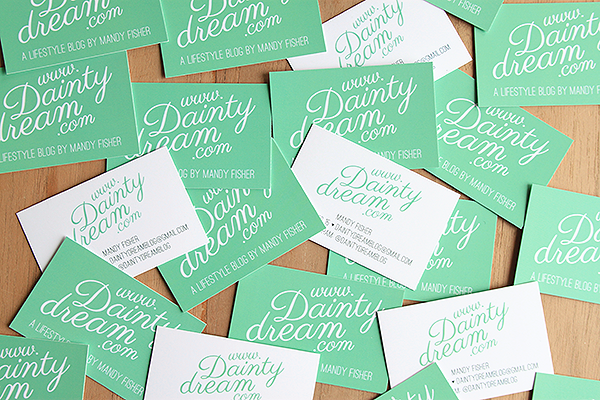 So this is it, my new business cards. What do you think of them? I'm handing these out everywhere and people really like them, so that's good right! 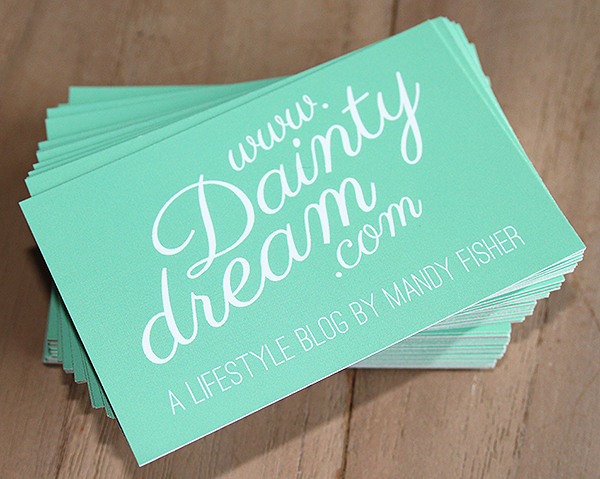 I can't wait to share more news about The Dainty Dream blog, but not yet!